I have been involved in the treasure hunting/metal detecting pastime for over 30 years now, and have authored three books, written hundreds of articles, and worked in the industry itself. 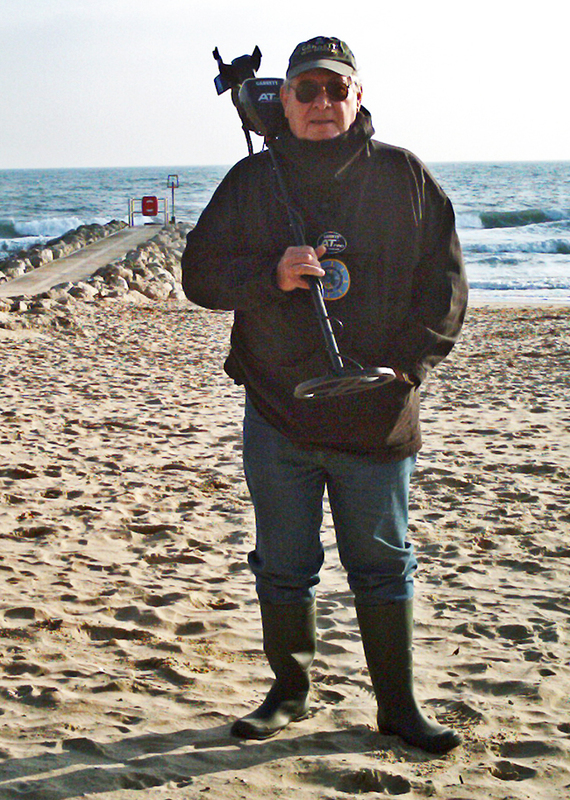 As a result I receive lots of emails and letters from detectorists like you, asking me for advice, asking what I think of a particular metal detector, inviting me to visit your town or city to hunt or to speak at your club meeting. On the whole I try to respond positively, but more often than not I cannot offer the information you seek, nor can I afford the travel costs involved. Why? Because I too am just a hobbyist, and no more an expert than you. As of now I pretty much consider myself a part-time treasure hunter. I hope that through this website/blog I might be able to offer you a tip or two learned over the years, but promise nothing earth shattering. Most of whatever success I’ve had occurred because I entered into the pastime at an ideal time, and because I spent an inordinate amount of time researching sites. Add to that a lot of in-the-field trial and error, and a helluva lot of luck! You will not find a lot of technical babble here, and you may call a lot of what I have to say, basic. That’s fine. That’s me. I still believe that research is the most important part of this pastime! Next, getting along in years, this website offers me a place, and a reason to look back and put things in perspective. While my metal detecting experience is very much like yours, it took me on a somewhat different journey that changed a great many things in my life. Some good, some not so good, but all worthy of a look back. Lastly, I am new to the task of putting together a website and blog, and the process is a real learning experience. Please bear with me, and do let me know if you have trouble viewing it so that I can make changes where needed. I hope you will always remember that, as detectorists, as amateur treasure hunters, we are bound by a common thread, and it is this friendship, this comradery, this sharing, that is so much more important than any treasure we can ever hope to find.